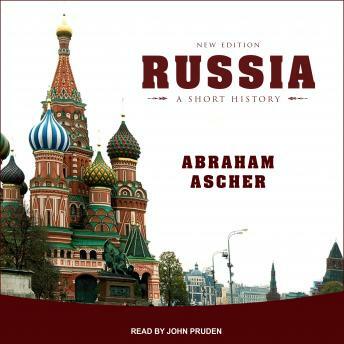 Distinguished Professor Emeritus Abraham Ascher offers a skillful blend of engaging narrative and fresh analysis in this concise introduction to Russian history. Newly updated on the 100th anniversary of the Bolshevik Revolution, it covers the growing political tensions between Russia and its neighbors, and the mounting divergence between Russian and U.S. foreign policies. This stimulating and beautifully written introduction will prove enlightening for students, scholars, and travelers alike.